The Panalpina Perishables Network was launched with ambitious growth plans in 2017. Today it has members, including agents, in 26 key countries and it keeps growing, offering customers, at both origin and destination, complete end-to-end solutions on a global scale. Agent members of the Panalpina Perishables Network enjoy unparalleled reach thanks to solutions from field to shelf that can drive new market opportunities worldwide. This is especially important as more varied products and better infrastructure, production and packaging techniques, allow for an increased output. 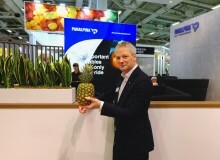 Meet the Panalpina Perishables Network at Fruit Logistica in Berlin to make sure your perishables travel first class. Members of the Panalpina Perishables Network benefit from streamlined processes, different modes of transport with modern cold chain management, new routes, and fast speed to market. Additionally, members enjoy access to air freight capacity on fully-controlled flights within the Panalpina Charter Network. All of this in a standardized manner with full supply chain visibility and global regulatory compliance. “In the perishables industry, shippers and local forwarders have traditionally followed their own practices. By working more closely together with our agents, we can standardize a reliable and uniform environment where our customers enjoy the same experience no matter where they are,” explains Colin Wells, global head industry vertical Perishables at Panalpina. New agents bring additional local expertise at origin and destination to the table, further strengthening Panalpina’s leading position in the perishables industry. “Five new agents joined the Panalpina Perishables Network as official members in 2018. 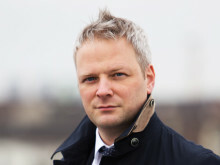 Together, we have increased reach and our ability to create tailored end-to-end solutions for our customers,” adds Marco Spiess, Panalpina’s global agent relations manager. The agents that joined the Panalpina Perishables Network in 2018 were Grupo Cropa in Guatemala, MIT Cargo in Sri Lanka, TML in Pakistan, FX Logistics in Zimbabwe, and AMIT in Israel. 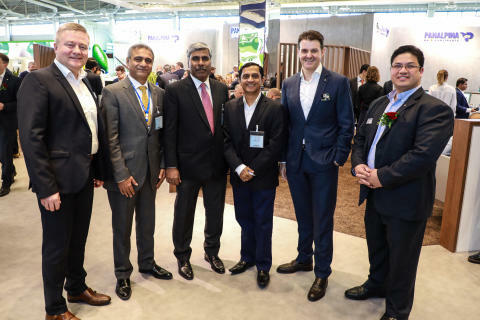 Come meet our agents and experts of the Panalpina Perishables Network at Fruit Logistica 2019. The worldwide transport of perishables constitutes a huge market where Panalpina is aiming to become the market leader. By 2020 the company aims to be the preferred global supplier of perishables logistics. 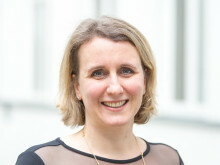 The success factors for this accelerated push into perishables are the company’s global coverage, dedicated perishables experts in key markets and the unique Panalpina Charter Network.